Panel Model/Part Number: LP156UD1(SP)(C1). Resolution: 3840 x 2160; UHD. Lamp Type: WLED. Connector Interface: 40 Pin eDP. Details: Panels are pulled from used systems, are tested, and in 100% working condition. Trending at $37.04eBay determines this price through a machine learned model of the product's sale prices within the last 90 days. Panel Model/Part Number: LP140WF3(SP)(D1). Lamp Type: WLED. Connector Interface: 30 Pin eDP. Details: Panels are pulled from used systems, are tested, and in 100% working condition. Panel Surface Type: Matte. This is a GENUINE manufacturer part. Our approach to tech recycling allows us to utilize perfectly good products that would otherwise head to the landfill. - We admit it. WE ARE NOT PERFECT. Bad things happen to good orders. Model: LP141WP1 (TL)(C2). LG Model #: LP141WP1 (TL)(A1). NEW Genuine Dell Latitude D620 D630 D631 Laptop LG 14.1" WXGA LCD Screen. - Dell Latitude D620 D630 D631. If you have WXGA screen, you also need to change the video Cable to WXGA to use this screen. Lamp Type: WLED. Connector Interface: 30 Pin eDP. Details: Panels are pulled from used systems, are tested, and in 100% working condition. Panel Model/Part Number: LP156WHU-TPA1. ALL PRODUCTS ARE MARKED WITH SERIAL NUMBER AND QC BADGE. Dell P/N: DC9YJ or 0DC9YJ. LP156WFC 15.6" FDH. LG Display. 156C6EF50087U 5R1A. Dell Latitude E5550, Latitude E5570;. Lamp Type: WLED. Resolution: 1920 x 1080; FHD. Dell Inspiron 15 7537;. Dell Precision M4800;. Dell Precision 15 3510, Precision 7510;. Panel Model/Part Number: LP156WF4-SPL1. (3 ) Make sure all other specs are correct. Check above for "Item Specifics". Here's an instructional video on how to replace your LCD. This should cover most Apple Macbook laptop models OR if you are having problems with installing the inverter cable inside the inverter board, here is one showing you how to remove the clutch cover (middle part of the laptop that covers the inverter board inside). Lamp Type: WLED. Resolution: 1920 x 1080; FHD. Connector Interface: 40 Pin LVDS. Panel Model/Part Number: LP156WF1-TLB2. Details: Panels are pulled from new systems, are tested, and in 100% working condition. Model: LM215WF3(SD)(C2), 661-5934. Compatible Model: iMac 21.5" A1311 Mid 2011. iMac 21.5" A1311. iMac12,1 Mid 2011: MC309LL/A (2.5 GHz Core i5). iMac12,1 Mid 2011: MC812LL/A (2.7 GHz Core i7). iMac12,1 Mid 2011: MC812LL/A (2.8 GHz Core i7). Lamp Type: WLED. Resolution: 1920 x 1080; FHD. Connector Interface: 30 Pin eDP. Details: Panels are pulled from used systems, are tested, and in 100% working condition. Panel Model/Part Number: LP133WF2-SPL2. Genuine Apple iMac A1312 27" Mid 2011 LCD Screen Panel Display LM270WQ1(SD)(E3) Tested. 30 pin wide, top right, LVDS-30P2C6B. unless explicitly stated above or shown in images. You are purchasing a 15.6" WXGA HD Glossy LED LCD. This LCD is compatible with many laptop models as well as many LCD screens. This 15.6" LCD is LED, not CCFL and therefore does NOT use an inverter. This screen has a 40 pin LED connector towards BOTTOM-LEFT (If facing the back of the screen).Please check model numbers and part numbers for compatibility. P/N LP156WF3-SLB1, LP156WF3 (SL)(B1). HP EliteBook 8560w. HP Laptop LCD Screen. NO EXCEPTIONS. This item has been tested for key functions and is R2/Ready For Resale. The item exteriors may have minor scratches, scuffs, dents, cracks, nicks, etc. All Categories. Local pickup is available. RAKI # R2~SA~L3 (D999). Software, virus removal, etc. are NOT covered by this warranty. What you see in this picture is the item you will receive. BETA LA-Tronics - Apple iMac 21.5" A1418 2012 2013 2014 LED LCD Screen Display LM215WF3 (SD)(D1). Also you will need to transfer the LED backlight power cable from the old screen to the new screen that you will receive from us. MODEL: A1312 (2560 x 1440). YEAR: Mid 2011. CONDITION: TESTED and 100% working. Mint : Item is in like new condition with virtually no signs of wear. A : Item is in excellent condition with very slight signs of wear. 21.5" LCD Display LM215WF3(SD)(C2). Pulled from Mid 2011 mac a1311. 661-5934 A1311 EMC 2428. We love to work with you to solve the problem. If you are not satisfied with product. Price less Computer. Trending at $59.91eBay determines this price through a machine learned model of the product's sale prices within the last 90 days. 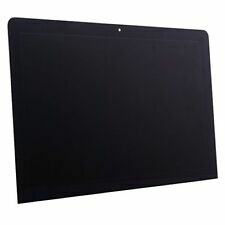 Here is a Genuine OEM LG LP156WH4 (TL) (R1) 15.6” Matte Laptop Screen. Screen Resolution: 1366 x 768. Part Number - 90J41. DELL INSPIRON 24 3455 LCD TOUCHSCREEN w/ DIGITIZER. MPN LP156WD1(TL)(D5). Resolution 1600x900. Display graphics to allow for user interface with the computer Screen is inspected for dead pixels No dead pixels Pass. Screen is inspected for lines No lines are found Pass. Expect scuffs/scratches from normal wear and tear as the item is used. No signs of abuse. At least give us a chance to correct any wrong. DO NOT BUY IF YOU DON’T AGREE. Ask us if you are not sure - provide your system original S/N and we can check for you. MPN LP141WX5 TP P1. Resolution 1280x800. Display graphics to allow for user interface with the computer Screen is inspected for dead pixels No dead pixels Pass. Screen is inspected for lines No lines are found Pass. Model Number: LM215WF4 (TL)(E7). Type: LCD Screen Panel. Include: LCD Screen Panel. Display Technology: CCFL LCD. Mouse over images to see enlarged version. Compatible Model Part Number: 6M. Connector Interface: 30 Pin LVDS. Resolution: 1440 x 900; WXGA . Lamp Type: CCFL. Details: Panels are pulled from used systems, are tested, and in 100% working condition. Panel Model/Part Number: LP171WP4-TLB5. Trending at $13.30eBay determines this price through a machine learned model of the product's sale prices within the last 90 days. LG 21.5" Matte LCD Screen LM215WF4(TL)(A1) . Condition is Used. Shipped with USPS Priority Mail. The only flaws on this screen are a 1 inch scratch, and a 1/4 inch scratch. 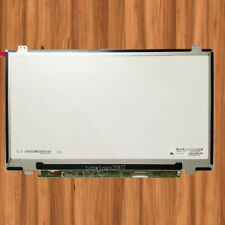 New LG Display 17" WSXGA 1680x1050 LCD Screen LP171WE2 (TL)(A1) for 661-4237 Display Assembly. Compatible with Apple MacBook Pro 17" 2.33GHz (A1212, MA611LL/A) Core 2 Duo Late 2006. We are not responsible for item incompatibility. IMac 27" A1407 LCD Screen. Panel Type. Panel Model. Clean Screen. 27.0" LG Display LM270WQ1-SLB2. LG Display. Matte ，Hard coating (3H). 1000 : 1 (Typ.). MPN LP156WFC TL B1. Resolution 1920x1080. Display graphics to allow for user interface with the computer Screen is inspected for dead pixels No dead pixels Pass. Screen is inspected for lines No lines are found Pass. MPN LP133WH1 (TL)(B1). Resolution 1366x768. Display graphics to allow for user interface with the computer Screen is inspected for dead pixels No dead pixels Pass. Screen is inspected for lines No lines are found Pass. MPN LP156WF6 (SP)(K1). Resolution 1920x1080. Display graphics to allow for user interface with the computer Screen is inspected for dead pixels No dead pixels Pass. Screen is inspected for lines No lines are found Pass. THIS IS A USED LP157E1(C2) LG 15.7" Matte LCD Screen (LGSC00025). NO LCD CABLE OR INVERTER. WHAT YOU SEE IS WHAT YOU GET. MDL: LP140WH1. Screen Size: 14". Screen Finish: Glossy. Connector: 40 Pins. MAY HAVE A COUPLE OF SLIGHT SCRATCHES ON THE SCREEN. MAY SHOW SIGNS OF SLIGHT USE. WORKS FINE.